This is a two part article that paints the current Middle East conflict issues as they affect both oil and gold. The first part covers the religious background at play there and the location and importance of oil in that scene. You will see how the issues at play there can affect every single person on this planet. In the second part we discuss what happens to the oil market and its price and the gold market and its price. When following events in the Middle East, we have been struck by an omission of emphasis by the global media that hides the potential extent of what is happening there. It is an important omission that covers our immediate future and one that will affect the entire globe! In a small attempt to clarify a more complex picture of today’s events, ahead of their unfolding next week and beyond, we take a look at three facets of the future –the religious foundation for the conflict, the involvement of the commercial oil world and the political involvement of the developed world, followed by its potential impact on precious metals and your investments there. Over the years, Sunni–Shia relations have been marked by both cooperation and conflict. Sectarian violence persists to this day from Pakistan to Yemen and is a major element of friction throughout the Middle East. Tensions between communities have intensified during power struggles, such as the Bahraini uprising, the Iraq War, and most recently the Syrian Civil War. According to some reports, as of mid-2013, this war has become "overtly sectarian" with the "sectarian lines fall most sharply" between Alawites [Shi’ites] and Sunnis. With the involvement of Lebanese Shia paramilitary group Hezbollah the fighting in Syria has reignited "long-simmering tensions between Sunnis and Shi’ites" spilling over into Lebanon and Iraq. To date such conflicts have been labeled the “Arab Spring” which was hailed in the West as a time when despotic rulers were removed and democracy replaced them. But this is not the case on the ground now. Where such conflicts have taken place the dictators have been replaced by divided, near chaos, as we see in Iraq, Libya, Egypt and now Syria. But this is not disorganized chaos. All along it has been sectarian violence between the two sides of Islam, the Sunnis and the Shi’ites. It is true that the Shi’ites make up a minority in the world of Islam, perhaps as low as 15% of that world. But the sheer hatred we are seeing across the Arab world between the two is bringing a level of horror to war that has not been seen since the two world wars. As such it appears that the differences have a parallel in history in the 100-year war between the Protestants and the Catholics whose dying embers are still seen in Belfast, Northern Island. One would hope that the divide we are now seeing in the Middle East could be isolated from the rest of the world, but unfortunately not. The critical difference between the two sides of Islam as far as oil goes is that the Sunnis approve of government over religion while the Shi’ites believe that religion dominates government. That’s why the Shah of Persia was deposed from Persia and it became Iran Alongside that went U.S. influence over the oil there leaving the government sitting below the dominance of the Ayatollahs. 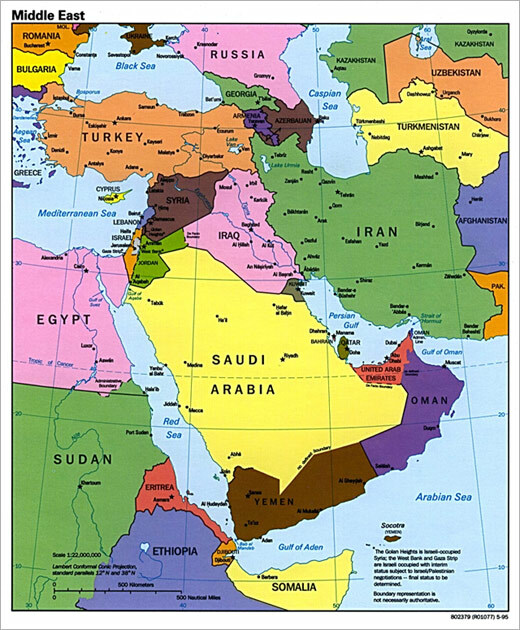 But the geographical positioning of the Shi’ites in the Middle East brings a new dimension to the conflict. Shi’ites are placed in critical positions in the oil world. Shi’ite governments rule in Iran, Iraq and Syria. Iran and Iraq have a big percentage of the world’s oil reserves. Critically, while Shia make up roughly 15% of Saudi Arabia's population, they form a large portion of the residents of the eastern province of Hasa, by some estimates a majority—where much of the petroleum industry is based. Between 500,000 and a million Shia live there, concentrated especially around the oases of Qatif and Al-Hasa. Since the end of the last World War, the U.S. has considered the Middle Eastern oil as part of its ‘vital interests’ for which the U.S. would go to war. That was made emphatically clear to the Soviet Union and now to Russia. While Russian influence has been to favor its neighbors there [Iran and Syria in particular] because it considers these as part of its vital interests, it has never challenged the U.S.’s direct interests as we saw in the ‘Desert Storm’ war, Iraq invasion and the reclamation of Kuwait. The pattern that has developed has been that the U.S. has guaranteed the security of Sunni governments and their vast oil reserves, upon which the developed world now relies. It has been anti the Iranian government, the Syrian government and has done little to reconstruct the Shi’ite-run Iraq. During the Iraq War, the United States feared that a Shi’ite-led, Iran-friendly Iraq could have major consequences for American national security. However, nothing can be done about this as Iraq's Shi’ite government was democratically elected. Indeed, the United States’ support of the Sunni monarchy during the Bahraini uprising is the latest in a long history of US support to keep the Shi’ites in check. The United States fears that Shi’ite rule in the Gulf will lead to anti-US and anti-Western sentiment as well as Iranian influence in the Arab majority states. 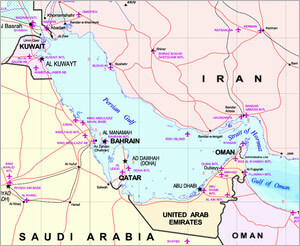 Please note that the interests of the U.S. are to ensure that the oil from the Persian Gulf continues to flow to the developed world through the Straits of Hormuz past Oman. The religious nature of the governments they support remains a complicating and undoubtedly, unwelcome aspect of the area that has drawn them into supporting the Sunni side of Islam. Thus the dilemma that faces the U.S. and the Muslim world is that a strike on Syria may ignite the Middle East in a sectarian war that will spread throughout the region, lose its national [Arab Spring] facets and become completely sectarian. 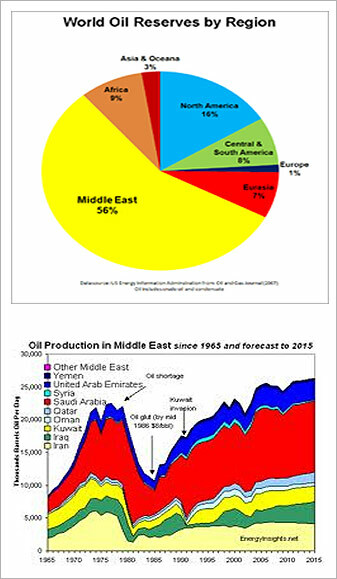 If such a religious conflagration begins, it won’t stop and will be completely unmanageable by both Russia and the U.S.
We have included a Table showing current oil production of the Middle East, past and projected oil production and global oil reserves by region. 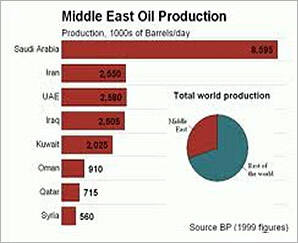 These serve to show us the importance of Middle Eastern oil production to the world. What has changed since these Tables were drawn up is the impact that ‘Fracking’ will have on particularly North American and North Sea oil production. The U.S. dependency on this oil will drop but never cease due to the different types of oil that are imported from there. Market prices are moved on those marginal supplies and demand that are above the big contracted amounts of oil imports and exports. That’s why O.P.E.C. has had such a direct influence on oil prices. In turn that’s why the U.S. has ensured that the Sunni governments of the Western Persian Gulf are dependent for their security and future on the U.S. And that’s why Saudi Arabia is so keen to foot the bill for any U.S. Syrian strikes. But despite this, oil to the U.S. is not simply fuel to feed its economy, it is the reason why the USD has succeeded as the world’s sole global reserve currency for so long. Even if the U.S. becomes self-sufficient in oil, globally produced oil needs to be priced in the USD for it to retain its power over the global economy. If the oil price were in a multitude of different currencies and these nations dealt directly with the currencies of the oil producers, then the U.S. would not have had the global power and influence in financial markets than it does now and since the last world war. As of now, this power is being eroded by the rise of Asia. Once the Chinese Yuan is fully convertible, it will wane considerably. This will not be accepted lightly by the U.S. So the Middle Eastern issues being inflamed now are directly linked to global oil supplies and the U.S. Dollar. In the next part we look at the connection to gold and how the oil and gold markets and prices will behave in such an environment! Click here to read Part 2.